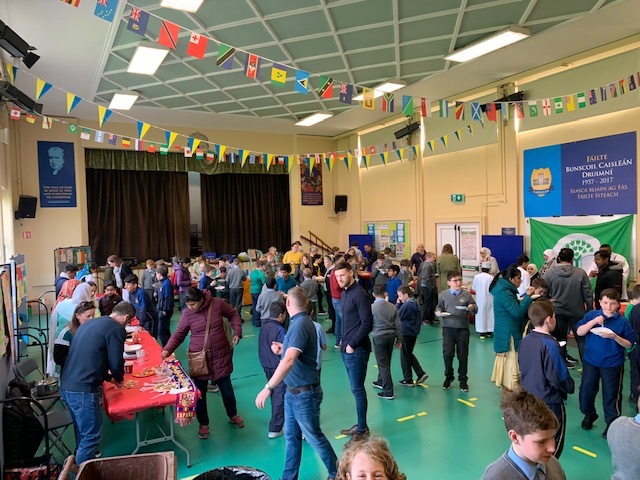 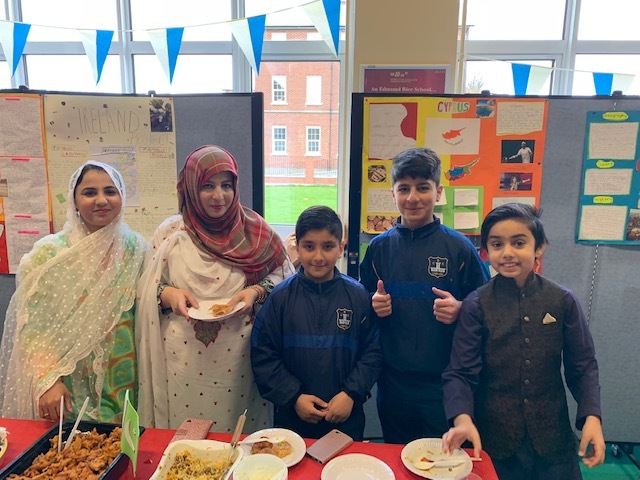 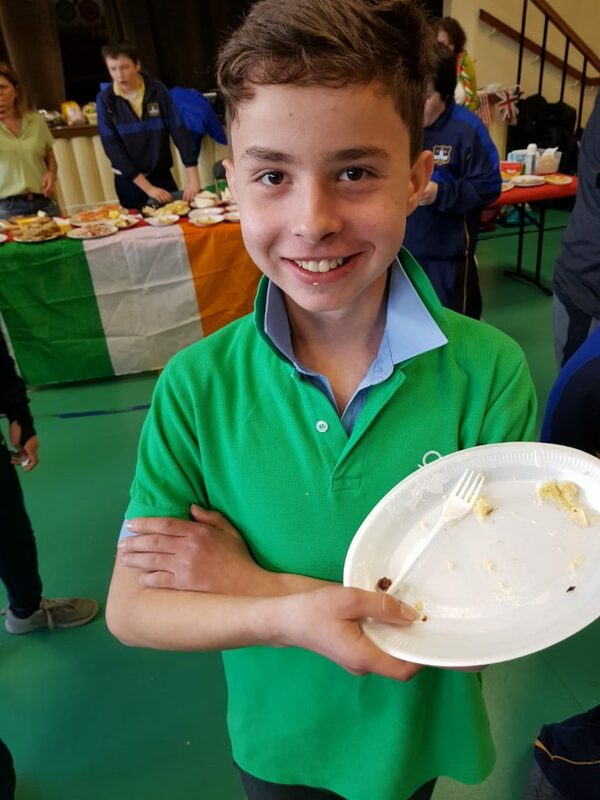 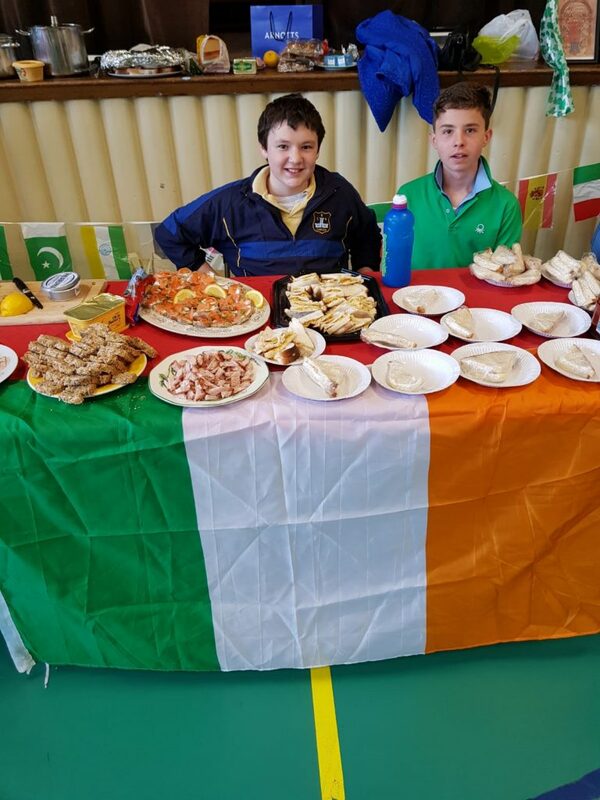 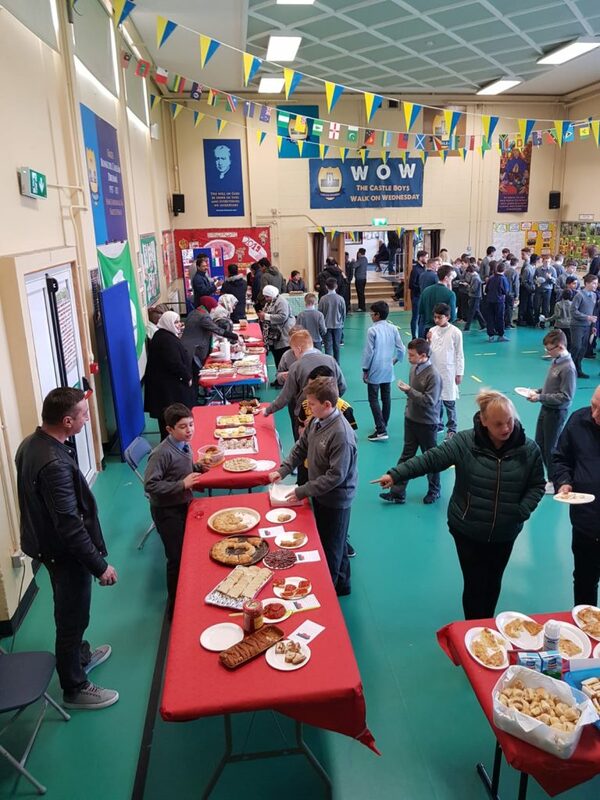 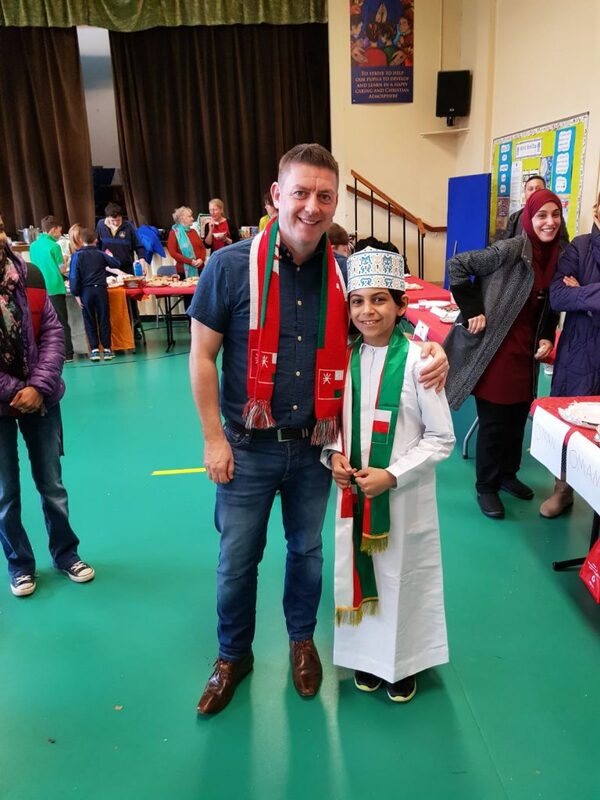 On Thursday April 4th, we held our 2019 Intercultural Food Day in the school. 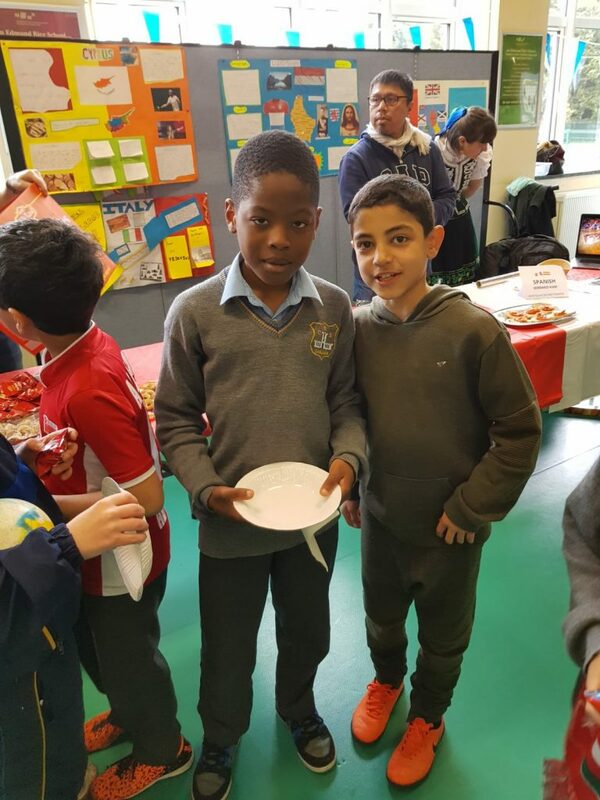 This is a day where we celebrate all the different backgrounds and cultures of the students in our school. 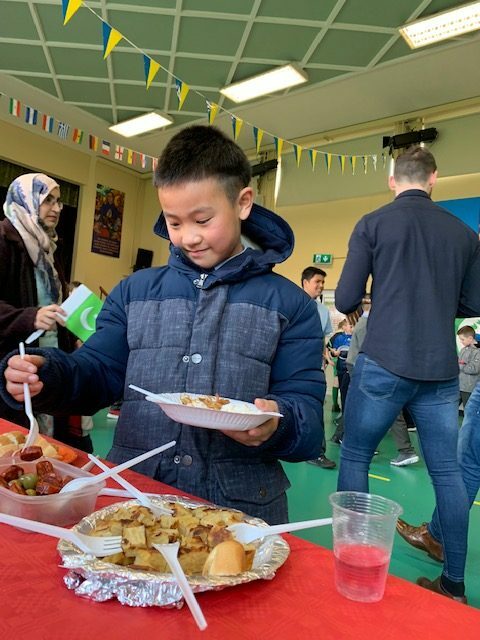 The teachers invite all the parents to bring in food from their country so that we can taste them and learn about their cultures. 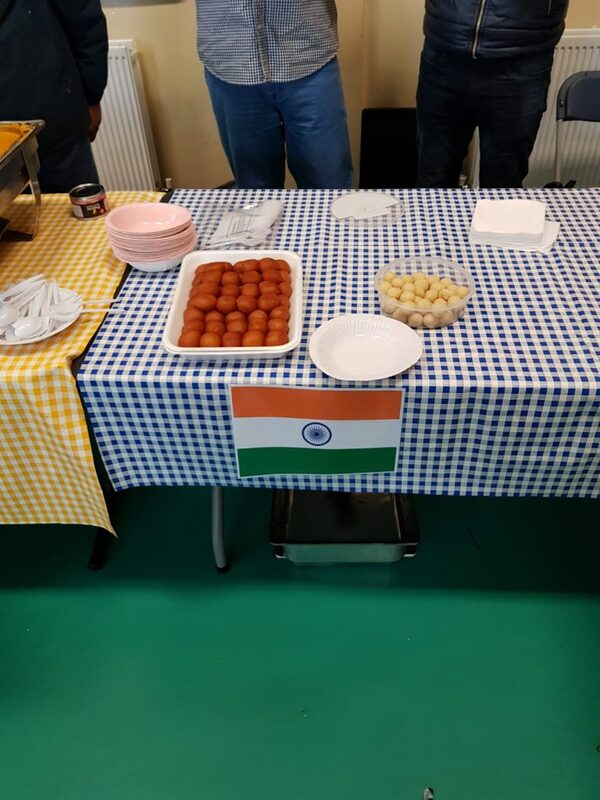 There were some instruments from the different countries too and we got a chance to play with them. 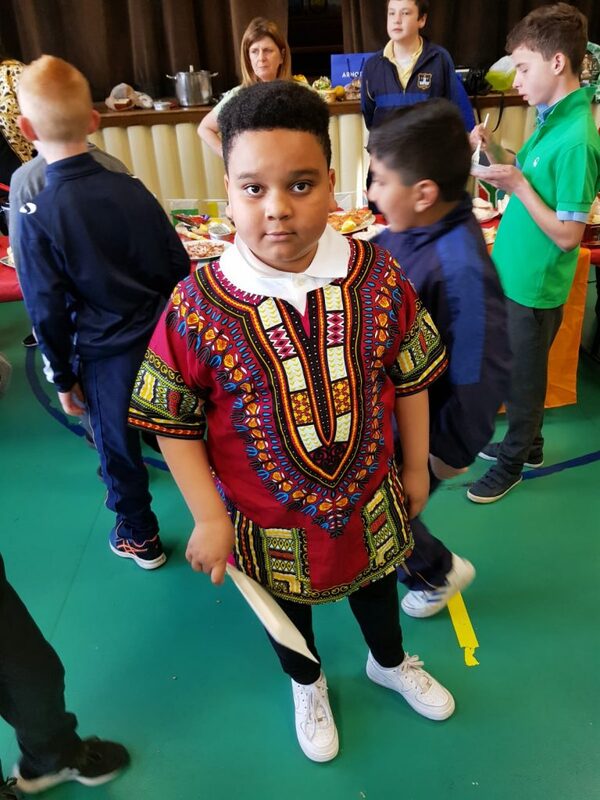 There were some boys who were wearing really colourful outfits from their countries too which I thought was cool. 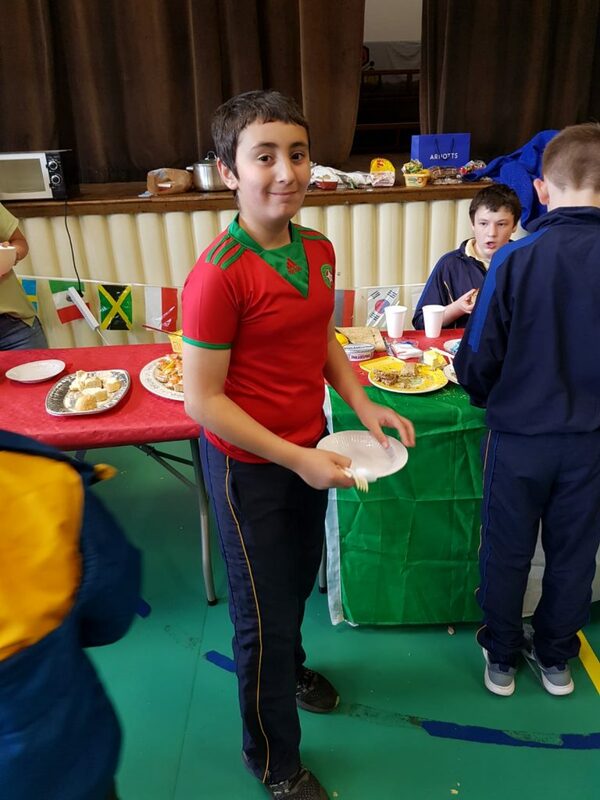 Some of us just wore soccer jerseys from different countries for the day. 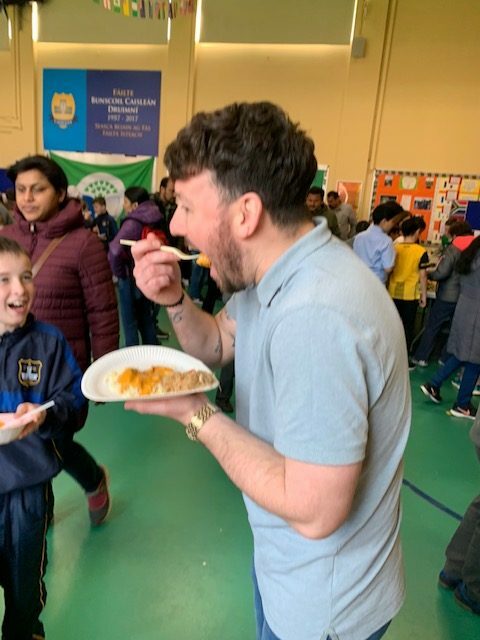 Some of the places that we tried food from were Slovakia, Peru, Oman, Thailand, Bulgaria, the Philippines and Pakistan and they were delicious. 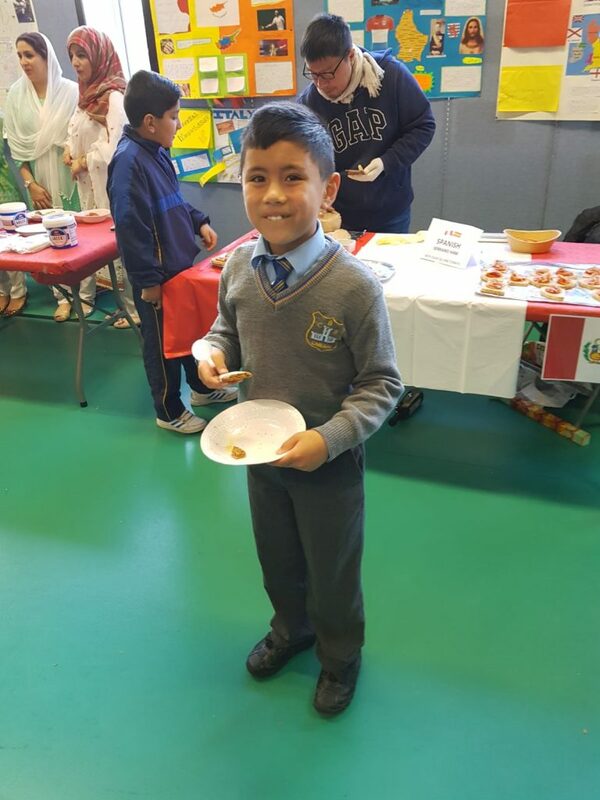 But the crisp sandwich at the Ireland table was very tasty too! 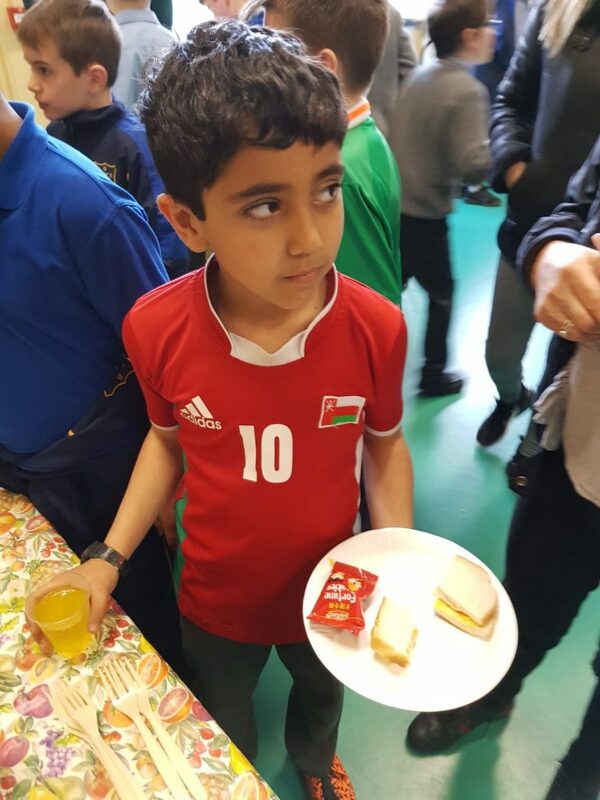 The parents were all really nice and we had no room left to eat our lunch afterwards! 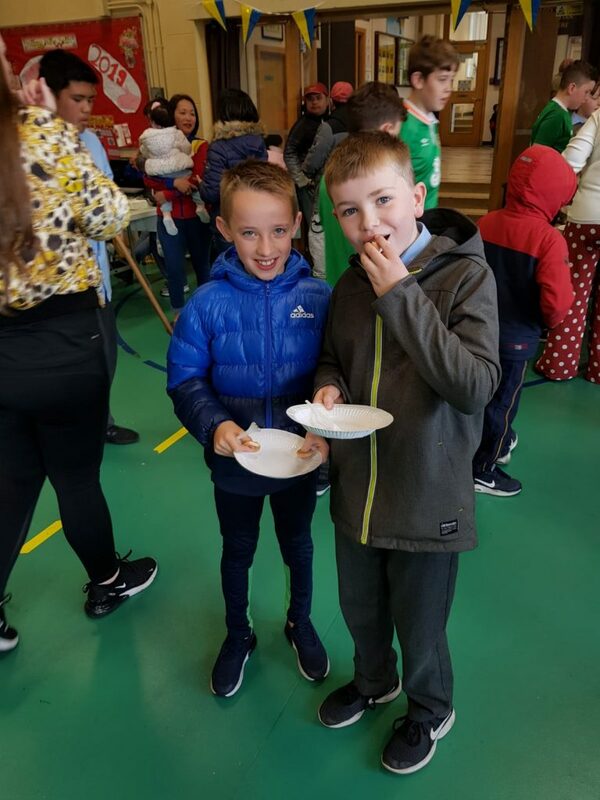 By the Room 5 boys.